Urban permaculture may sound like the name of the latest hot band or a clothing brand, but it’s actually an increasingly popular movement started by city dwellers who want to lessen their impact on the environment while also having more control over where their food comes from. Short for permanent agriculture, permaculture is basically the idea that by observing and following nature, we’re able to create an unending food supply. It’s something that originated in Australia using design principles that can transform a patio, balcony, rooftop or garden into a sustainable food-producing area. For example, one permaculture approach is to build a forest garden. This type of garden aims to recreate the way a forest grows, by being planted in a series of four different layers, replicating the natural processes in a forest. It starts with a canopy layer which is created by planting trees, particularly trees that bear nuts or fruits, followed by shrubs like blackberry or other fruit-bearing bushes that thrive in shade. The next layer is created by plants that climb, like vines which stretch toward the sun. Urban permaculture is a relatively new idea, but it’s most definitely not new in practice. Anyone who has ever grown a tomato plant or a small herb garden on their patio or in their kitchen has practiced urban permaculture. But the movement is a lot more than simply growing plants. Another goal of urban permaculture is to limit waste through composting rather than just throwing trash out. Many different things, from egg shells to vegetable scraps, can be kept out of our landfills by composting. And, they can also be used to help plants thrive, whether as mulch or fertilizer. Urban permaculture aims to transform cities, by making them greener and more sustainable, by giving residents the option to join a more holistic way of living, even in big cities. It helps to create a continuous cycle where everything is used to its fullest potential, and nothing is wasted. While most people picture rural scenes like farms, orchards or forests when it comes to food production, it’s time to change all of that. The majority of humans live in urban settings today, but there are many techniques that allow people to grow food the permaculture way, in urban and suburban areas. Many edibles have trailing growth habits that allow them to cascade over the edge of containers. This type of garden is great for balconies and porches. While strawberries, tomatoes, radishes and hot peppers thrive in containers but don’t be afraid to try other fruit and veggies as well. Aim to vary the textures, tastes, and colors when considering groupings. Patios and balconies are ideal for container gardening. A vertical garden allows you to utilize wall space for growing. A large vertical tray system is outstanding for growing herbs, and you can purchase specially designed trays that allow for thick food planting. Just remember that if you do go big with your garden, be sure your wall and fasteners are strong enough to support the weight of all that material. Window gardens can be created by strategically placing window boxes on various sides of your home to grow both shade- and sun-tolerant plants. They’re also fabulous for herb gardens. 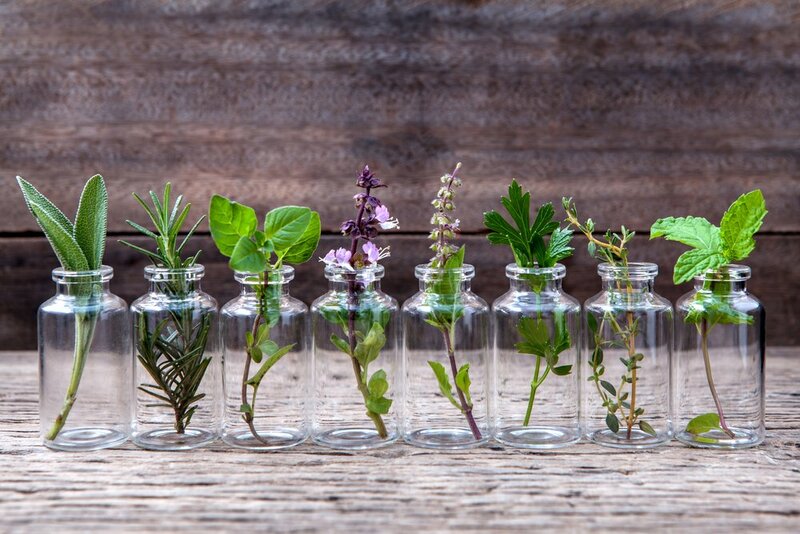 If you use a kitchen window, you’ll have easy access to some of your favorites, like rosemary, cilantro or basil, when you’re cooking. First made popular in Africa, the keyhole garden is catching on in many other places these days. 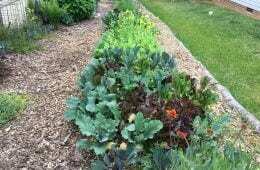 It holds moisture and nutrients due to an active compost pile that is placed in the center of a round bed. While it’s particularly helpful in hot and dry locales, a keyhole garden will improve growing conditions in just about any climate. They’re easy to build and can be customized to your liking, using things like tree logs, netting, old wood scraps, cinder blocks or one of practically an endless number of framing options. 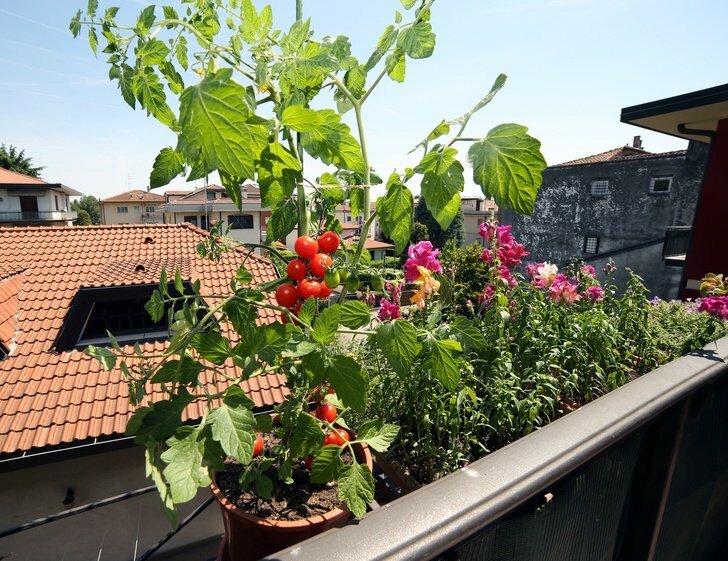 If you live in an apartment building, the roof may make an ideal growing space. Of course, you’d need your fellow apartment dwellers and/or landlord to agree to convert part of or all of the space into a permaculture system – drainage is a must, and the structure of the building must be strong enough to hold the extra weight. In most places, you’ll need permission from your city council to plant at curbside, but these days, that’s becoming an increasingly popular idea. Oftentimes, fruit trees and herbs thrive in areas like this, while adding to the beauty and greenery of a city, and helping with air quality too. You could even use it to provide local people with food. Of course, those aren’t the only possibilities when it comes to urban gardens. Do a little research on Google, Pinterest and the like, and you’re bound to find something that’s ideal for you and your space. All great gardens start with a plan. Be sure to take into consideration things like elevation, sun/shade, water, existing land elements and so on, as well as the type of plants you’d like to have, and their growth over time. If you aren’t sure how there are lots of books and videos out there that can help. You may also want to look for a permaculture design course or join a local permaculture group. If there isn’t one already, start one! Just remember that there is no one right way to design a permaculture space. Your design can always be adapted to changing goals or needs should you decide to do so. Experienced garden designers often recommend designing big, but starting small. Determine what it is that you ultimately want to have, using an all-encompassing design that factors in all of the essential design aspects, then construct it one small piece at a time. Starting small allows you to learn from smaller mistakes along the way, rather than big ones. As you learn, and test, and figure things out, such as what grows best in your climate, you can expand, one step at the time. In permaculture, keeping small and slow is critical for keeping you on track. Your water source is a key factor in a successful, or not so successful permaculture garden, so as you’re planning, be sure to think about where water pools and washes away on your property, as well as which areas need the most water. Where your gardening space holds an excess amount of water, dig a slightly sloped ditch that you can line with gravel to contain it. If you don’t have enough water, use barrels or cisterns to capture rain from rooftops to use for watering and non-potable washing. If you live in Alaska and decide to grow lemons, for example, you won’t be in line with permaculture principles as the effort required is so great compared to the potential yield. 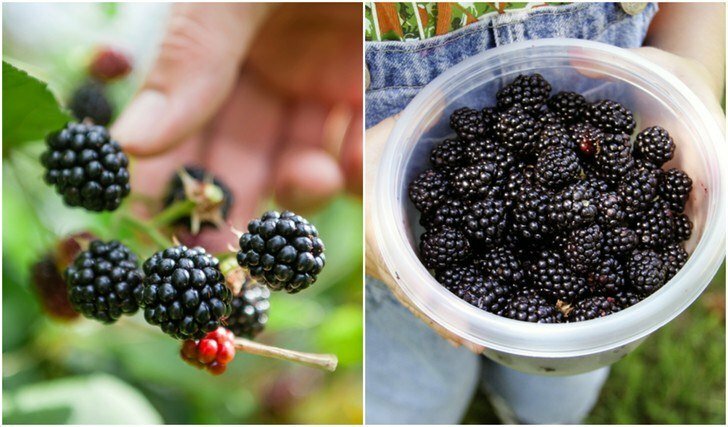 Instead, research which perennial food crops tend to grow well in your planting zone, or better yet, consider which native plants will bring optimal yields. Local farmers and garden clubs may have ideas about sourcing less common plants, and many nurseries sell plants and seeds online. If you have the option, it’ best to buy from a local nursery so that your plants will be most adapted to the particular soil and weather conditions in your area. Finally, time to plant! If it’s an option, try to plant more than you think you’ll need, so that you can select the healthiest plants later, and remove those that aren’t doing so well for compost. By planting densely, it will also help to prevent an excessive amount of weeds. Companion plants, such as chives and onions, and herbs, placed underneath fruit trees can help prevent pests and disease and digging pests. If there aren’t many pollinators in your area, planting flowers will help attract them. Keep in mind that if you plant young nut and bare-root fruit trees, it’s going to take a few years for them to produce, so you may want to fill in the bare space with annuals like sunflowers, which are absolutely gorgeous and low maintenance, or intercropping with sweet potatoes or squash, as those are minimally invasive to tree root systems and can also help lessen any weed problems.